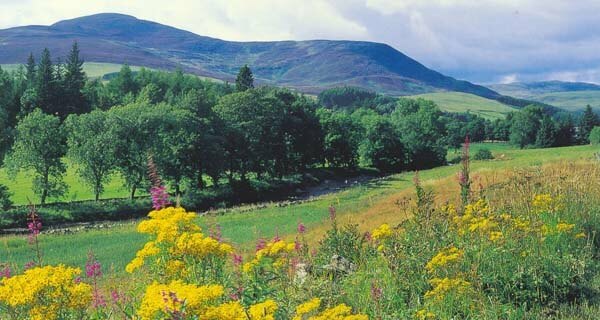 Nestling in the heart of an ancient monastic estate in beautiful Glenisla on the edge of the Cairngorm National Park with its garden running down to the river Isla, this sunny 18th century cottage is newly restored to a luxurious standard with the little extras of fluffy towels, power showers, and large heated towel rails. Full of history and legend yet only 90 minutes from Edinburgh, and 35 minutes from fantastic cashmere, kilt and gourmet food shopping, Glenisla has something to offer in every season of the year and this luxury holiday cottage is a gorgeous place to stay - with so much to do, you will be spoilt for choice. Claypotts sleeps from 2 to 6 people (discounts for 2 people) and the layout of the cottage with an ensuite king-sized bedroom downstairs makes it very cosy when rented by a couple and also perfect for the less mobile guest. 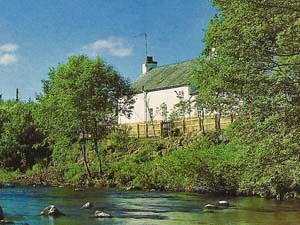 With its central location, Claypotts is a perfect base for exploring Scotland. 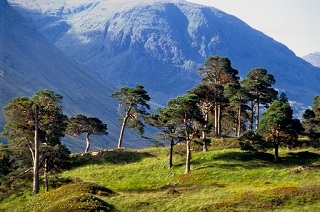 Whether you prefer a relaxed holiday, or an active one, the options at Claypotts are many and varied. There are not only numerous activities and places to see both on and off the estate but because we try to do everything to make your holiday a happy one, we provide a full concierge service. 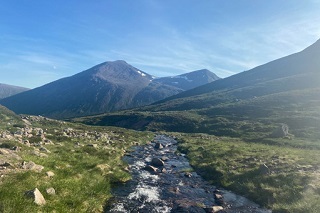 Close to the Queen's and Queen Mother's Balmoral and Glamis Castles, there is outstanding wildlife viewing, fishing and other sporting activities along with whisky distillery tours and artisan food producers. Why not go wild swimming, go on a wildlife photographic safari (on the estate), pony trekking (6 miles), skiing (35 minutes) or golfing (4 courses within 14 miles) or have tennis lessons from a Wimbledon junior finalist, followed by a massage and dinner made by the estate's cook who uses organic local produce whenever possible. Alternatively let us make you afternoon tea with hot cheese scones whilst you stroll along the river or swim in one of the pools at a place beloved by Queen Victoria. Excellent pub food 5 minutes, good restaurants 30 minutes, 2 star Michelin restaurant at Gleneagles Hotel. 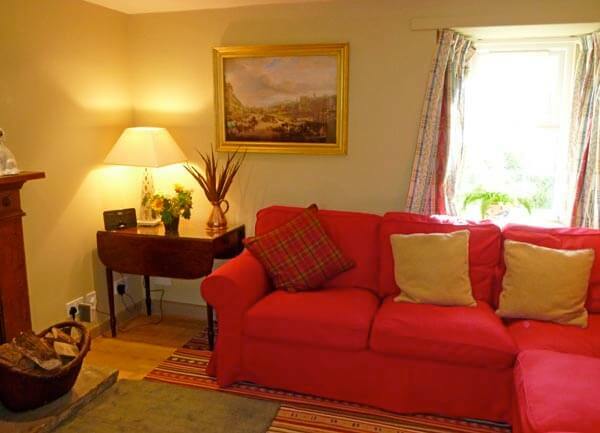 This picturesque cottage has a large, pretty sitting room with a wood burning stove and comfortable furniture. The modern, sunny kitchen has everything you might need (it is a 5 star cottage!) 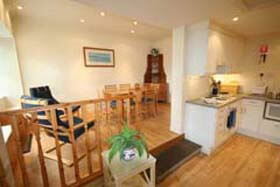 and has a dining area with a French door into the garden. 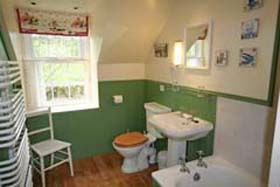 There is an ensuite king-sized bedroom with power shower on the ground floor. Upstairs is one twin/super king with its own bathroom and one ensuite bedroom with power shower. Both have wonderful views and the sounds of the river and its bird life. All bedrooms have electric blankets and extra-long beds. The half-acre garden alongside the river bank is fully enclosed so very safe for children and dogs. There is a seating area with table and chairs, and a barbeque. Babysitting can be arranged which is a great bonus if you want to go out for the evening. 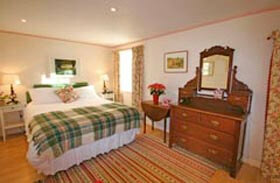 There are many extras available on the estate - including hire of a piper for special occasions, a masseuse etc. Claypotts Cottage is located 90 minutes from Edinburgh International Airport, 2 hours from Glasgow International Airport and 40 minutes from Dundee Airport. Pitlochry Station (35 minutes) and Perth Station (50 minutes) both have connections, including sleepers, to the rest of the UK. Arrangements can be made for guests to be met at stations and airports. All bed linen and towels. First basket of logs, thereafter available at cost. To cut down on your shopping, bathrobes, soap, tea towels, oven gloves, cling film, apron, foil, bin bags, loo rolls, washing up liquid and essential cleaning materials and other helpful touches to start your holiday off are all provided. Electricity by meter reading. Extra services like champagne and chocolates by arrangement! Two well behaved dogs welcome. Claypotts is rented out year round. Rental periods are usually Friday to Friday; arrival 4pm and departure at 10am. Short breaks welcome. Discounts for couples. 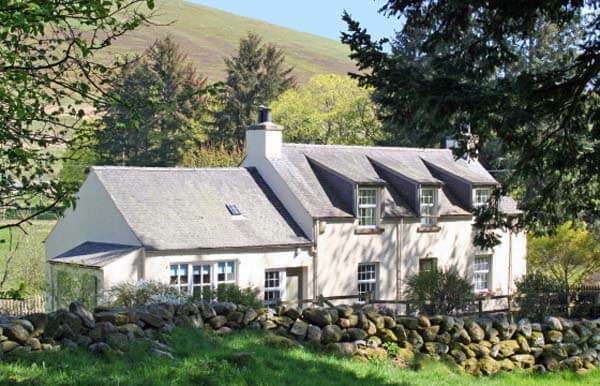 To book this 5 star holiday cottage in Perthshire, click the enquiry button below and view availability and rental rates. This luxurious self-catering accommodation is located on a glorious highland estate and the range of things offered by the owners is amazing! There is a private hot tub which is perfect for relaxing in after a day walking in the hills and gazing up at the stars in a sky unspoilt by light pollution.